In classroom counseling time P1 discussed the different ways we communicate our wants and needs about personal space. Here they are practicing non-verbal communication of their feelings: angry, happy, surprised, and sad. Lincoln Swimmers Break Records at FINA World Junior Swimming Championships! 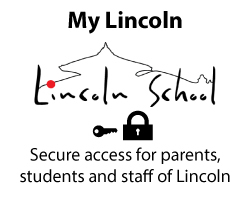 Five Lincoln School swimmers returned to campus with big smiles today after representing Nepal in the FINA World Junior Swimming Championships. Akshara, Alex, Oshina, Tisa and Ugyen swam some of their personal best times, as they competed against the top young swimmers in the world. A special congratulations to both Alex and Tisa for breaking national records! 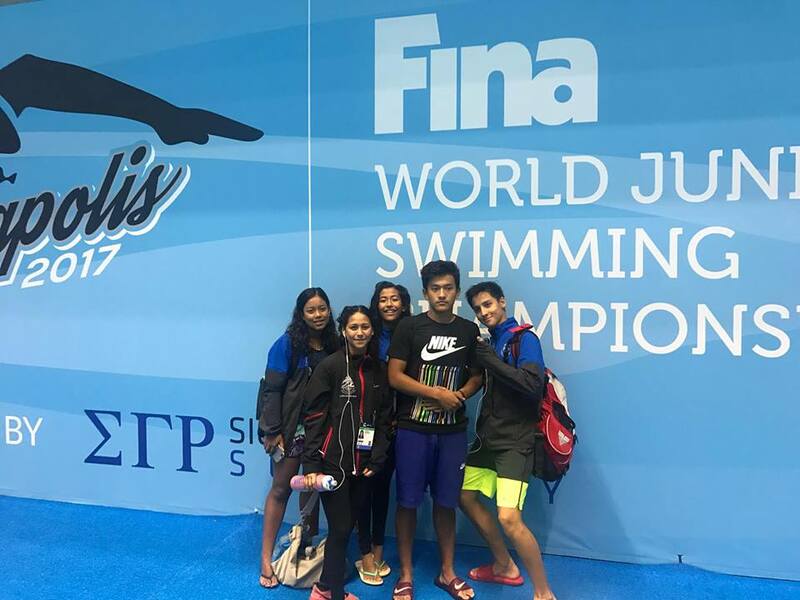 Alex broke a 14-year-old Nepali national record when he swam the 50 meter freestyle in 26.18, while Tisa lowered her own national record that she set at the World Championships in Budapest with a time of 1.26.01. Congratulations to our Lincoln swimmers on their fine performances! As part of the Lincoln School ASA program, students from the School Newspaper Club met for the first time last week. Interviews, articles and interest columns about happenings on campus are being drafted and drawn up for the upcoming first edition of the Snow Leopard Times. Stay tuned! Art Show and Aspiring Artists! 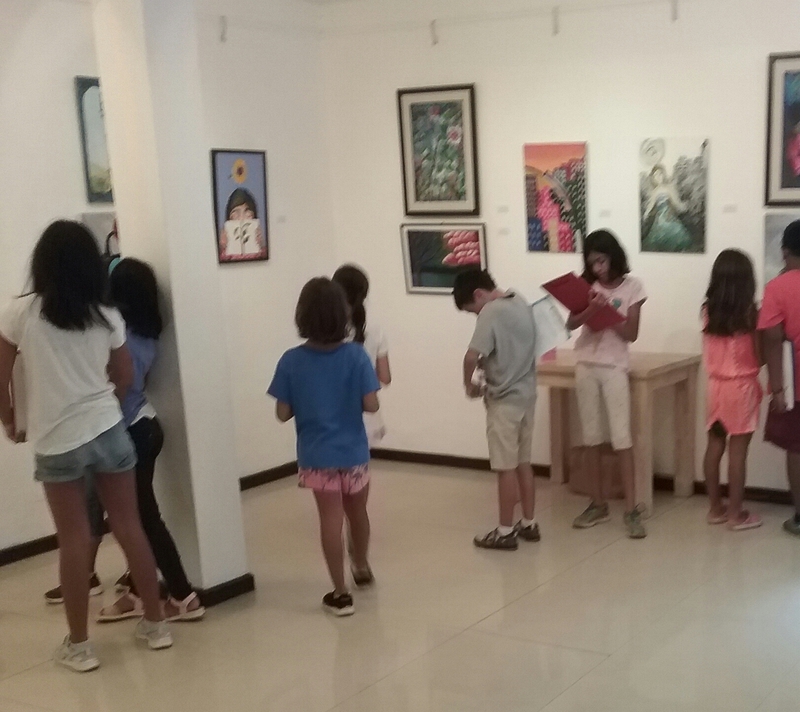 Grade 4 and Grade 5 students had the opportunity to attend the Quality Kathmandu Schools art show at Siddhartha Art Gallery in Barber Mahmal Revisited. As aspiring artists themselves, our students surveyed art created by older students from schools in Kathmandu. During the visit they noted key art elements and techniques, and discussed their interpretations of the various pieces within the show. It was an inspiring trip and our Lincoln artists have now begun creating their own art!!! 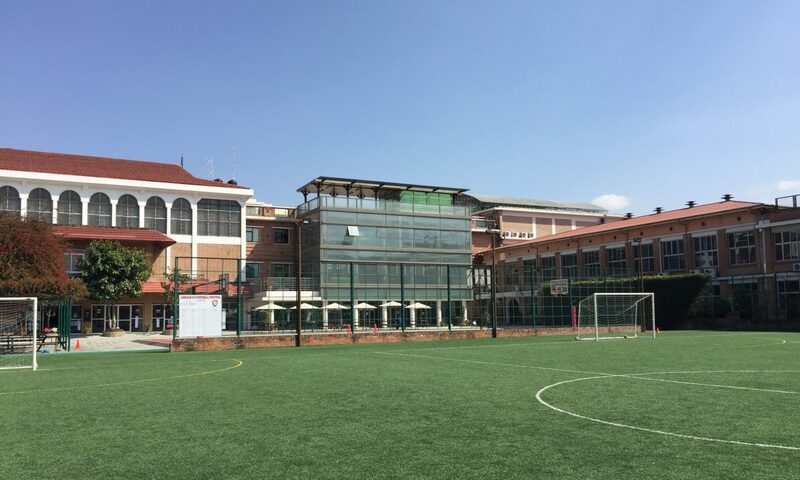 A recent Lincoln School graduate was able to learn more about his college of choice – Syracuse College – from volunteers at Thrive, a service project partner for Grade 11’s Service Nepal. When he arrived at Syracuse he was welcomed by those same volunteers! Such a wonderfully connected community we have at Lincoln! Weekly Monday assemblies for the elementary school provides community building, celebration, leadership, and of course – music! Its a wonderful way to start our week. Students and teachers leave this weekly assembly with a smile and connection to each other and school. Today our grade 5 emcees led us through a song with the help of Ms. Iris, a guest speaker from The Umbrella Foundation to connect us to our Service Learning projects, a review of snack and lunch expectations from Mr. Ken, and a celebration of students with birthdays this week. What’s up with our brains? Yesterday Grade 10 teamed up with Grade 3 to teach introductory lessons about their brains! Some of the lessons included topics like brain plasticity and brain development. Both groups are looking forward to future learning opportunities together! Grade 3 and Primary 1 Team Up! As part of Lincoln’s balanced literacy program, which fosters a love for reading, the elementary classrooms have teamed up! Seen here, Grade 3 and Primary 1 reading buddies met in the P1 classroom. The students discovered new books, made predictions and connections, all while laughing and having fun.